Now that you know to face the wind and to jam in a line, the next step is learning about lanes in the jam. This is a natural extension to the two previous skills. You might already be using this concept without knowing it. Basically you can think of a lane like a swimmer has a lane in a race. In the jam, the lane moves into the wind. Each player moving in the line has their own lane going into the wind. As the disc moves between the players, each is responsible only for his or her own lane. So if the disc is in my lane, you do not move in front of me to get it. Rather, you wait for me to set it into your lane, either on purpose of by accident, and then you take over. In the same way, I will never go into your lane. If I lose control and the disc flies into your lane, I won’t step in front of you, even if you are not ready. Why? This way we don’t crash into each other. This gives us each the opportunity to shine without encroaching on each others space. This keeps us safe. This let’s us know when we should go for it or when we should hold back. We all play better when we respect our lanes. And soon, a whole new level of magic forms because we can read each other’s movement. I can not tell you how many times someone has jumped in front of me and “poached” a disc that was in my lane. It is very intimidating when someone who is out of control (or even in control) runs at you at full speed trying to save the disc. If you lose it, let it go. The person it goes to will save it and be a star. And when they lose it, you will be the star. Just hang out nearby and wait for your chance. I’ve also seen newer players be afraid to step up into their lane. Don’t be afraid..that is unless you know the person next to you doesn’t respect the lane. Then look out! But if you’re next to me in the jam, be ready. Stay on my hip, in your lane. I will set it to you and I will expect you to crush a gitis! Nothing is more sad then when a perfect set comes your way and you don’t go for it. If you are properly situated in the line, in your lane, and the disc comes to you, it’s yours. Go get it. This is what lanes are all about. So how do you know where your lane is? How wide is it? Does it go in a straight line? As a general rule, your lane is as wide as your reach to save and control the disc. So imagine your arm span. Can you brush or catch the disc from fingertip to fingertip? Hint: I can. If you can’t yet, keep working. The wind is coming from the camera position. The direction of the lane is formed by the wind and the jam line. The most basic jam line forms perpendicular to the wind direction. The lanes move directly into the wind. Here there is a small subtlety, based on the tilt of the disc. Since a disc spinning clock will tend to tilt out of the wind to the right, the lanes bend slightly to the right of the wind direction. Also, the people on the left of the disc can be slightly upwind while the people on the right can be slightly downwind. Of course, counter is a mirror image: the lanes bend left and the people on the right can move slightly upwind. However, this is all based on the current tilt of the disc. If the disc is directly in the wind, your lane goes into the wind. As the disc tilts, so does the lane. And as you become better at predicting how and when the disc will tilt, you can shift your position and direction slightly ahead of time. Of course, the lane and disc tilt are very subtle and advanced. So if you’re not sure, just run into the wind with the person next to you while keeping your lane width. If someone comes between you and the person next to you, shift over and form a new lane. Also, you may cross and form a new lane between others is you feel it’s appropriate. Always cross behind so as not to block the run or cause a wind shadow. Also, don’t constantly push others away from the disc. It’s usually best to cross just after you’ve passed the disc, if you see too large of a gap, or if you are planning to hoop. Speaking of hoops, those are a whole other matter. Keep watch for an article on hoops. But basically, you close the lane gap (get close to the person about to receive the disc) but do not block the wind or their view. Just make a hoop, and get/stay out of the way. What do you do if someone comes charging into your lane? Well, get out of the way. Then you might yell “poacher” or “encroachment”. At least that’s what you’ll hear in Seattle ;-). I also find that I tend to stay farther away from those who poach or who try to run me over. And, as a result I don’t pass to them nearly as often as I do for those who understand the lane. So, if I’m not passing to you…. Have you ever been poached in a jam? Tell your story in the comments below. And, yes, I poach sometimes. I hate it, but sometimes I just make a mistake. Sorry if I’ve ever poached you. I’ll keep working on it. When I see a jam I can instantly get a sense for how experienced the players are in that jam even before I see a trick attempted. How? By their formation. Most new players tend to stand in a circle while in a jam. As players become more experienced they will tend to jam in a line. So, here’s a hint for the new players who try to form a circle. It is much easier to be in a line, than in a circle. Here’s why. Imagine you are playing catch with one other person. If one of you is up wind and the other is down wind, the person down wind will have a hard time. That is because the wind will cause the disc to fly faster and drop faster. The ideal position for a game of catch is cross wind. Then both players get equal float. Now image the jam. In a circle some players will always be down wind. In fact, I’ve noticed that the newer players tend to go down wind in the circle as they hesitate to move with everyone else. They don’t realize they are making their lives harder. All the throws going down wind will be harder to handle. Then there’s the wind shadow problem. Players upwind will be blocking the wind flow from those downwind. So, the flight of the disc will be unpredictable making it much more difficult to complete a trick. Then there’s the mob-ob. In other words, jams often consist of players passing the disc from one to the next. Just like throws, this most easily accomplished cross wind. In fact, if everyone in the line is facing the wind, one player can set the disc out into the wind and across the jam to another player. The disc will float right in for a catch, pull, brush, or roll. Seattle Jams in a line too! Yes, the line is where it’s at in the jam. So what do you do as a new player? Well first realize that the most experienced players will naturally jam in a line. So don’t worry about making the other jammers uncomfortable. Now, when someone has the disc, get cross wind from them. Not to close, but not to far either. Just think of a good distance for a big Z throw. As that player moves, follow them so you stay crosswind. They may set it to you. Or they may catch. Now you are in a great position for a good throw. If they run fast into the wind, you have the option to follow them, or just hang back and wait for the next throw. Basically try to keep the line formation. If you get to far from where you started, go back and then be ready for down wind throw. If there are many people in the jam, you don’t have to be directly next to the person with the disc. Instead just try to keep of the line formation. And note that often 2 – 4 people may go on a run. If you are part of it, stay in the line until a catch or drop. If not, stay back with the group, in line for the next throw. Try this next time you jam. You will have more success when in a line vs being in a circle. Knowing where to be in the jam is a skill all it’s own. Please post other positional tips or questions in the comments below. Dave and Z bring to your attention the concept of “connectivity” sometimes called “consecutivity“. Flow and consecutivity are similar yet very different in my mind. When judging presentation I look for flow, when judging difficulty I look for consecutivity. Flow has to do with keeping the crowds’ interest by maintaining a certain level of play – maybe not hitting everything or staying consecutive the entire time, but whatever bobbles, the’s or even minor drops don’t distract from the overall flow the team had built over a period of time…while one quick drop might not break the flow one long drop or two quick drops may. Other factors can effect a judge’s interpretation when judging the degree of flow. For example, keeping the disc moving between team members often makes the routine flow more than having each player just do long center delay combinations. When you watch some vintage footage of the Coloradicals you notice not only how well they flowed but how the excitement would build as they kept the disc moving and as they kept hitting moves. But don’t forget, they weren’t just doing easy moves the whole time…they had to be doing risky enough moves for their to be excitement in the first place. Consecutivity. Consecutivity is very straight forward. Is a player going from move to move without hesitation or does he have to reset the disc or do a the before going into the next move. Now you may wonder, “What’s the big deal? It’s not that hard to go from one move to the next.” This is true for some moves but far from the truth for others. For example when doing an under the leg center delay it’s easy enough to regain control of the disc on your finger after you’ve passed the disc under a leg. Now try the same move but add a spin after you pass the disc under your leg and before you regain control on your finger. The mastery of the move can be shown in competition by how much control you have of that move. If you do an under the leg pass and then pull the disc under another leg directly off the first set – you’ve shown three things. One, that you’ve mastered the first move to the point where you can set it into a relatively small pull out window. Two, you’ve mastered the second move to the point where you can pull the disc from a relatively good set with little room for error. Third you’ve shown you’ve mastered the transition from the first move – which involves balance and footwork. So, difficulty as it relates to consecutivity is maximized when players do moves into other moves when the margin of error for the moves themsleves and for the transistion between those moves is minimized. Diff is also maximized by the technical substance of the moves which correlates to how technically difficult the move is. How hard is it to do that move under the current conditions, what’s the degree of restriction, the amount of time to master the move, how risky is it, etc. As you can see just judging difficulty is difficult. Now, try to take into consideration all that I’ve mentioned and try to judge multiple players doing different moves with muliptle discs all at the same time….then in the middle of their combos the 15 second tape guy says “mark”. Doh! If you want to know how to play with other people, even with a limited skill set, the answer lies in your ability to take into account a few variables; where are the people around you, what spin is the disc, how much spin is on the disc, and how long has it been in play. If you can perceive these few things you can have an incredible jam with almost anyone. First things first. Know where the people are around you. Before every throw you should take a quick gander at the lot of people. Where are they? Who can you pass to? Are you even in a good position to receive the disc? Be sure you are not in someone’s lane. If you are in someon’s lane, find an open hole and move yourself to it. Sometimes the only open hole is on the end of the line of jammers. It is Okay to stand in front of the jam sometimes. Be sure not to be a wind shadow, and be ready to move out of the way if someone comes running at you. Next is the disc coming to you? If it is be ready. Even if you think it might not be coming, be ready. A bad throw or miscommunication can result in your turn for play. If the disc is coming to you, you will need to decide if the throw has enough spin to take it on a delay. If it does feel free to do so. If your skills are limited think about passing after one or two pulls. This will get the disc out of your hands and give you an opportunity to keep it in play for extended periods of time, thus increasing the fun factor. Passing is essential. It keeps everyone involved, and helps fire up the jam. If the disc should come to you with only a little spin you are left with different options. You could brush the disc to one of your friends, or to yourself. You can also terminate the throw. Don’t be afraid to throw a similar throw to another jammer after your termination. A little speed flow never hurt a jam. The most common error I have witnessed is not knowing how much spin is on the disc. If you think there might not be enough spin, don’t hesitate to terminate. Early termination, sometimes feels a little weird, but it never busts a jam. A seal is a seal. Far too often we jam without termination. This is a game of throw and catch. If someone serves you up a set, with little spin, that is a good angle to brush back, go for it. Sometimes there may be plenty of opportunity to keep going after the throw has been in play for a while.Feel free to catch. Even if it is just an under the leg. A few solid catches can really fire up a jam, and build mob-op chemistry. Knowing the spin will help you determine what you can do with it and for how long. If you don’t know the spin coming to you pass it off. The next person probably does. Passing the disc off is huge. When you are losing control, pass it off. If you can’t think of anything to do pass it off. Passing leads to what I think is the best part of mob-opping. As soon as you pass run to the other side of the person you passed to. Or if someone has that lane move to the end of the jam. You should be thinking about where you can be most helpful at any given time. Even running in a circle around the jam can be fun. It leaves a lot of space for you to get involved. It is also important to note that when you do not have the disc in the jam there are plenty of things you can do besides spectate. You can hoop, leg-over, or get in front of a jammer so you can tip it back. If you have the energy, run with anyone who goes on a brushing run. When they get in trouble, there you are waiting to pick up the pieces and create more fun. It also encourages other jammers to pass to you. In short, the idea is to create the most interaction between the most people that you can. All while using the skills you have. In every sport there is a target level for the highest form of play. With art there are average pieces and then there is the work of the masters. With Freestyle Frisbee the most elevated level of play is called consecutivity. It is a way of playing that takes the skill of continuation to its most difficult form. In addition to difficulty this skill adds the elements of flow and creativity into the mix, creating the most expressive and incredible forms of freestyle. It could be described as the art of combining a wide variety of difficult constrictive moves into a long sequence, effectively, with flow and precision. The goal of every freestyler should be to improve their level of consecutivity. For those wishing to compete at the tournament level of play, this would be a very important skill to concentrate on. It has been said sometimes in freestyle that a series of moves can be compared to a written expression of words, like a sentence. Each move could be equated with an expression or word with the most basic of these termed a ‘the’. A ‘the’ is the basic in front of you, unconstricted, one handed catch, the easiest catch or form of continuation there is. In the interest of consecutivity a ‘the’ move would be the greatest detraction from achieving this high level of play. Along with bobbles, mis-hits, long pauses and drops, they are the bain of consecutivity, but in reality ‘the’s’ are hard to avoid, and they are always better than a drop (a ground ‘the’). Consecutivity always focuses on achieving a more descriptive and complex level of phrasing. Such as, a spinning under the leg take, flat set, spinning 1 1/2 BTB pull to an under leg angle set, front roll, set, back roll, set, spinning phlaud catch. Notice that there wasn’t a ‘the’ , pause or bobble mentioned in the entire sequence. Actually the first set in this sequence was technically a ‘the set’ as it came after the under leg move. It can be really hard to weed out those ‘the’s’. Imagine someone, as they contemplate that double spinning flamingitis against pull take off of a throw we just nailed. As their mind attempts to comprehend that, it will soon tingle as we go off into a series of consticted spinning against take moves, and when we finish with a spinning crow brush set to a triple spinning crash and burn roots, their overcharged neurons will most likely erupt into a bout of spontaneous giggling. My mind got a jazz just contemplating the possibility. Everyone wants to express their game to the highest level, because it’s more fun and it looks really cool. So then, how do we begin the process of introducing more consecutivity into our games. Fortunately, no matter what your level of play is you can work on this skill by taking the moves you already know and begin to combine them into sequences. At the beginning level this might simply be a series of basic continuation moves. Work on avoiding ‘the’s’ and other simple moves or corrections that break up flow and detract from consecutivity. Let’s say you know how to flat delay set under your legs, do simple pulls like a behind the back, chest roll and some basic freestyle catches like a flamingo. You could put these together in various combinations without ‘the’s’, with flow and you would be increasing your consecutivity. Your combination might go something like this… Off the throw, make one turn and take the disc under your leg. In one smooth motion set the disc up flat in front of you and turn halfway, pulling out the disc with a BTB rim pullout. Fight the urge here to use a ‘the’ to gain control, but instead cleanly set the disc out head high in front of you, with a little angle for your next move, the chest roll. At the end of a nice sticky roll, push the disc off your hand straight in front of you at mid height so that it soon stalls and slopes back towards your feet, then turn and set up for a nice gracefull flamingo catch. Note how this combination used each continuation move in a consequetive sequence. Breaks were avoided by the use of accurate sets off of each move. Each set ended exactly where the next move was to begin. Some have described this as putting the disc into the ‘move window’. This refers to the course where the disc travels on it’s route to your next planned move. Often, because of it’s flight characteristics, the disc is set out in front, usually into the wind, where it will take a predictable course back to you, giving you enough time to set up for your next move. Or allowing you to move in an easy direction, forward, to take the disc into the next continuation move. With each move requiring a set, there is a corresponding ‘move window’. Try to figure these out and form a mental picture of these ‘windows’ in the places where you’re having the most difficulty completing the move. Some moves have large windows while other more difficult constrictive moves have extremely small windows with added disc angle requirements. Work with what you know and find ways to combine these into flowing sequences of moves. Once you have mastered a series, try to combine it in a slightly more difficult way or add other moves into the sequence. Working on consecutivity will force your game to improve on many levels. Moves will have to be performed more correctly, sets will take on greater importance, you will soon be able to instinctively improvise in moves depending on were each set ends up. Your game will grow on many fronts instead of one move at a time. If you’re jamming with other players and doing cooperative moves, try adding some consecutivity into the playing mix. Don’t just take the pass or throw in a simple ‘the’ position, but spin into it and/or take it from a more constricted position. The same goes for passes and throws, try doing something extra with each and add some flow. If you make a difficult catch with a certain hand position, try sending off a throw using that same grip. Adding consecutivity will elevate your game and those around you to higher levels. Difficult cooperative takes require a certain level of anticipation and the ability to rapidly commit to a particular move early as the pass is being made. Try to anticipate what is coming, but be ready for anything. On the other hand, your passes and throws to other players should be set accurately, preferably into their ‘move windows’, so that they will be able to keep the flow unbroken and consequetive. As your playing, keep yourself moving, positioning yourself in areas where you can better receive passes or do something with the disc like hoops or angle changing deflections. Moving around the disc as other players are doing moves will open up more possibilities for interaction and help cool moves to develop. Consecutivity is a difficult challenge, but it is at the heart of expressing our game to others at the highest level. Work on it each time you play. Build move combinations that are both consequetive and difficult for you. Stretch yourself a little bit at a time, while attempting to remove the clutter of ‘the’s’, pauses and easy sets. Try combining difficult moves that you never thought of placing together. 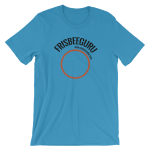 Along the way you will find other consequetive moves that can be woven into sequences that will enhance both your game and your enjoyment of the sport of Freestyle Frisbee. Flow is a term that came into usage during the 1970’s, as the sport of Freestyle began to grow more advanced. For the first time, players achieved the ability to string a great number of moves together. Through the process of combining individual moves, efficient transitional movement had to be performed and the term coined for this was flow. Players began to recognize the value of flow, not just functionally, but also it made their game look so much more polished. Soon it was something to be practiced and worked upon as much as the moves themselves. Speed flow was invented which combined trick throws and catches in a flowing unbroken style of movement. As modern Freestyle evolved later in the seventies with its delay moves, continuation etc., flow was rapidly incorporated into the jargon and recognized as an integral part of the game. Flow can be achieved in many ways and through many divergent styles, but it always seeks to create the appearance of smooth, unbroken movement while executing moves. A drop or throw away is usually the greatest detractor from achieving flow, while unintentional bobbles, misses, miss-hits, poor footwork and other mistakes also subtract from a freestyler’s flow. Flow is enhanced by the way in which a player moves. The use of good form and positioning as a player carries out a succession of moves contributes much to the appearance of flow. Flow is more than just executing move after move without breaks. It is executing those moves with extension, grace, form and timing in succession without break or error. Obviously, flow is a good attribute to add to your game. So how do you increase your level of flow? Like any of the other components of freestyle, flow is increased and perfected through practice and becoming familiar with a wide variety of moves. Some players have a certain grace of movement that will help them develop a flowing form more rapidly than other. But in actuality, it boils down to becoming adept at doing each particular move correctly, free from error and with proper body positioning. Then, and most importantly, a player must add to their moves precise timing, free from misguided breaks in either form or motion, so that they smoothly transition from one move to another and so on, until a clean catch is made. Think of a series of freestyle moves like a sentence consisting of descriptive words. Flow would be, in part, the way in which the writer chose and placed the words, but even more importantly, it would be the skill in which they read those words to the listener. Flow is what makes consecutivity successful. Even novice players can put together a group of moves in succession, but to make it look good, flow must be present. The real experts have perfected their play to a point where they can flow from one difficult move to the next, making adjustments along the way as needed, plugging in a move here and improvising a series there, making it all blend into a smooth expression of their game. A high level of flow is always difficult to achieve. There are so many variables to contend with, both in the environment and with the ongoing decision making processes going on between the player’s ears. Winds are often variable, footing can be uneven, the sun can suddenly be right in your eyes, obstacles can confront you, and distractions may appear and take you off of your game. It takes focus, confidence and the ability to make those timely adjustments in play to keep those awkward breaks and uneven movement to a minimum. Decisions… quick decisions, these can affect flow, also. A progression of moves must be strung together seamlessly to exude flow. To do this a player must have confidence and familiarity with a number of different types of moves and be able to rapidly decide upon the next move as the series or co-op develops. A split second of indecision will usually end up as a break in flow. Many players practice a series of moves over and over until the whole series becomes as one continuous flowing move. This method does not allow for much latitude when the wind become extreme, but often sections of the entire series can be joined to sections of other series as conditions warrant. Flow is an important part of every style of freestyle play. From fast peel out shredding, to the slower control types of freestyle, flow is the glue that holds the presentation of moves together. It is easy to see when a player executes a series of graceful spinning rim pull outs. But, it is also just as important with percussive moves, or in the blending of widely different speeds and movement, though you might not consider these as flowing styles while watching them. Even a move with the lack of movement, like a benign or catch can be an important part of flow, if it is joined with proper timing to the moves before and after it. In many sports when a player is said to be in ‘a zone’ they have achieved a playing state that is of total concentration and performance. When a freestyler reaches ‘the zone’ then flow is also maximized. During many longer jams a high level of flow can be reached for a short time. Occasionally, during a long session, this level can be maintained for a long period, perhaps an hour or more, both individually and cooperatively with the people you are playing with. To experience this level of flow is one of the greatest things about our sport. At the end of the day after one of those jams you might remember a few highlight series of moves or co-ops and it just seems like you’ve pulled off something quite incredible. To reach a high state of flow during a jam may be the single most addicting and enjoyable aspect of the sport. Flow is an open-ended deal. It is impossible to continually be performing it at a maximum level and yet it is something all of us should be striving for. So keep on practicing, learn as many moves as possible and start stringing them together in different combinations. Pay attention to how those combinations affect flow. Soon your body will instinctively and rapidly be able to react to more and more variations of moves with proper footwork and body positioning. When you practice, try to spend some time focusing more on flow instead of just moves, and see what happens. Often the moves will begin to just happen and the flow will take over with surprising results. Don’t ever downplay the importance of flow.